LSU isn’t giving up on Zack Hess developing as a midweek starter — but he’s needed in the bullpen, too. The freshman right-hander will get the start against Southeastern Louisiana on Wednesday night, LSU coach Paul Mainieri announced Tuesday. 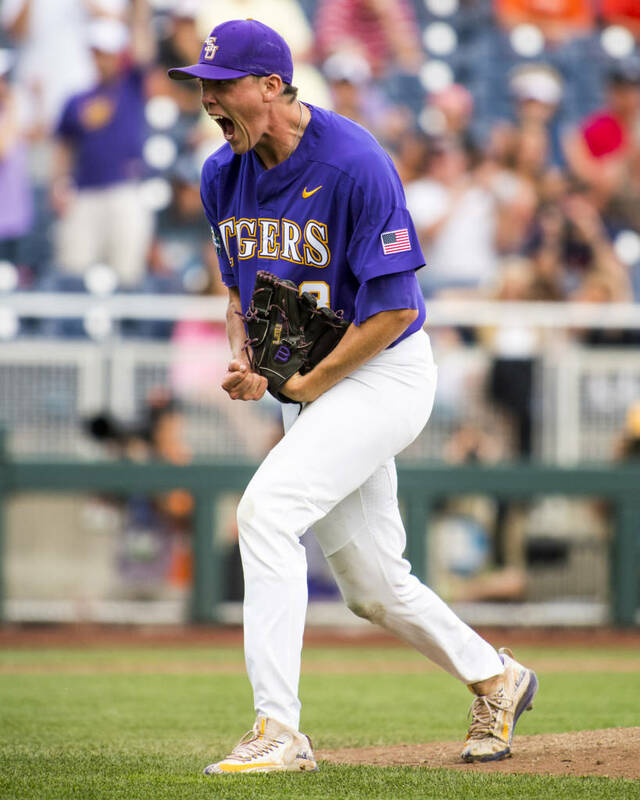 However, the coach said he’ll work on a somewhat limited pitch count because LSU needs him available to pitch in relief at some point during this weekend’s Southeastern Conference series on the road against Florida. Hess shut out Louisiana College over six innings of one-hit ball in his last start. He threw 75 pitches in that outing, and Mainieri brought him back on Sunday against Georgia. The rookie allowed a single and a walk before being pulled in favor of Matt Beck, a move Mainieri reiterated was more about game situation — expecting a bunt, he opted for a more athletic strike thrower — than any lack of in Hess as a reliever. It’s a move of necessity to bolster a shorthanded bullpen. More on that in the next note. Newman is “making progress,” the coach said, and he’ll be reevaluated by the doctor again next week after an additional week of rest. Mainieri confirmed the senior right hander won’t make the trip to Gainesville for LSU’s series against Florida, as expected. LSU leads Southeastern Louisiana, 67-17, in a series that began in 1937. The Tigers defeated SLU on April 20 of last season, 11-4, in Baton Rouge. LSU has won 21 of the last 22 meetings between the schools — SLU’s win in that stretch came in 2008, a 6-3 victory over the Tigers in the original Alex Box Stadium. LSU has a 40-3 mark against Southeastern Louisiana since 1990.